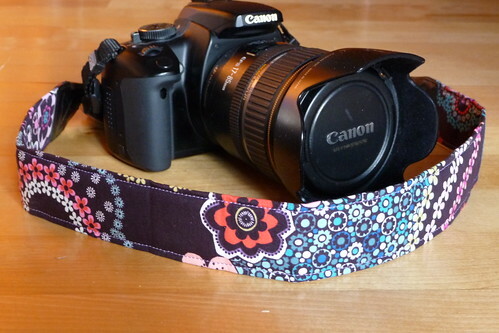 As part of Merry Christmas / Happy Birthday to me, I bought my first item from Etsy, a camera strap from Straps by Leslie. I love Canon, but not so much that I need to be a walking billboard for them with their standard strap. So I found this pattern that is totally Angela. I love it! It even has enough room to hang my remote control. At Adam's basketball practice one Saturday morning, I convo'd Leslie (Etsy talk for message) about a custom fabric and length configuration and ordered it right from my iPhone. I got it on Tuesday! Now that's service. 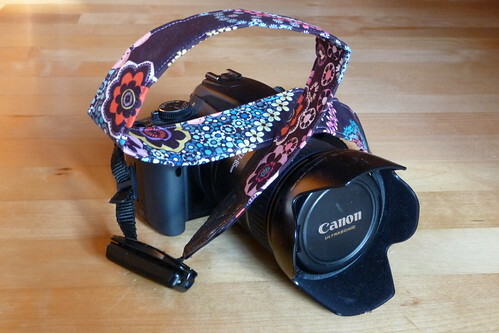 Check out Straps by Leslie on Etsy for all her great straps.